A UC Santa Barbara graduate student and Isla Vista resident died early Saturday morning after driving the wrong way on Highway 101, California Highway Patrol (CHP) reported. Alan Anhphi Vu, 28, was reportedly driving north on a 101 southbound lane in Santa Barbara at 1:58 a.m. While traveling at normal freeway speed, Vu’s 2012 Nissan Sentra collided with a concrete rail on the freeway median. All available CHP units responded to the scene. “The Nissan caught fire, which was put out by the first CHP officers who arrived on scene,” CHP Sgt. Jim Richards said in a press release. Vu died from injuries on the scene, Richards said. The left two lanes of the 101-South were closed for two-and-a-half hours following the crash. Vu was the undergraduate advisor in the UCSB Department of History. He was recently admitted to the Gevirtz Graduate School of Education, according to Miles Ashlock, Assistant Dean & Director at the Office of Student Life. This death is already having a significant impact on the community. Don’t hesitate to reach out to Counseling & Psychological Services for support. 893-4411. It is a sad week for me. This man was one of the great ones. Take care, Gauchos. Nexus might want to contextualize this a bit further rather than regurgitate news from other sources… Alan was a dear friend, colleague, and advocate to many. “Isla Vista resident” doesn’t cut it. We are working on finding more information. 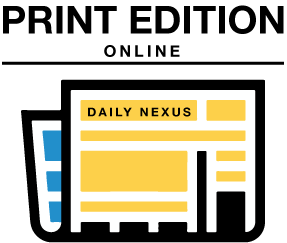 Please email me at shomik@dailynexus(dot)com if you would like to share information. Alan Vu was the undergraduate advisor for History for the past six months. Before that he was part of the staff for College of Letters and Science and he was an alum of UCSB. His husband is also a current graduate students in the History department. He was so so so so much more than a “Isla Vista resident”. Despite the circumstances of his death, it does not diminish his life’s value. RIP. Alan is an integral member of HASC, the Humanities Administrative Support Center. He has endeared himself to many fellow staff members, as well as faculty and students in History. I believe his partner Thomas is currently flying home. I only worked with him via e-mails and he was great. He will be missed. I’m sure Alan Vu was a terrific guy and I offer my condolences. There is nothing at all, however, with being an “Isla Vista Resident”. Isla Vista is a terrific place. Mean nothing at all *wrong* with being an Isla Vista resident. Shomik, please contact the HASC staff or History department chair to gather the information you need to complete your article. Nothing at all wrong with being referred to as an “Isla Vista resident”. I’m sure Alan Vu was wonderful and lead a rich life, influencing a lot of people positively, like a great many Isla Vista residents do today and have done throughout Isla Vista’s 93-year history. That’s all great, but the point of saying that it “doesn’t cut it” is that just referring to him by where he lives does not capture who he was to so many people. Sure living in IV comes with it’s own set of attributes, but just labeling someone based on where they live isn’t enough. As someone who knew Alan and is mourning this incredible loss, “resident” feels diminishing. 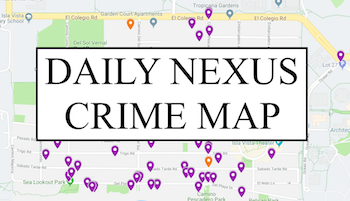 Odd, I don’t recall any objections to the 81 references in google to the Daily Nexus’ use of “Santa Barbara Resident”, or the 41 references in google to the Daily Nexus’ use of “Goleta Resident”. It is an honor to be labeled “Isla VIsta Resident” and be put in the same high regard as previous IV residents like Patty Laney. Perhaps what you mean is that being labeled and “Isla Vista Resident” puts him in the top one in a billion of humans, but you want to place him even higher. He seems to have been a professional student ? And UC needs to require driver training class to graduate. Like swimming. Logic class would help too. I have worked indirectly with Alan on campus and he has always been a pleasure to work with. His kindness will be very missed. Let’s not forget the importance of this article is a life lost from our community. So this was definitely a suicide right? This is not the appropriate venue to fulfill your self serving curiosity while friends and family are still barely grasping at this loss. The news article is not the place to find answers to basic questions concerning how the crash occurred? First of all, if the news article had more information, they would have included it. Secondly, this is a tragic loss felt by a lot of people. So no, this is not the appropriate venue or time for you to try to figure some detail out while so many people are mourning. Your curiosity is very far down on the list of things that matter. There has been no report on whether alcohol played any part in this accident, so you are making a lot of assumptions about the situation, Alan, and everyone mourning. I’m sorry about your loss, but even if this was influenced by alcohol it does not erase everything he was. There have been no reports on whether alcohol played any part in this accident and if it did, this article, along with all the others, would be updated with that new piece of information…because that’s what they do. Also I’m not quite sure where you get the idea that I’m defending drunk drivers, but I guess that’s just another one of your assumptions. So asking for more info about the accident is invalid but being angry with the report for referring to the person as IV resident makes sense? Just referring to someone as a “resident” is not enough. That is why people are upset about that. Asking about details to satisfy your curiosity is not important. If more details were known, they would be in the articles. So seeing people ask about whether this tragedy was caused by suicide, alcohol, or drugs feels like they are trying to find a reason why this accident isn’t a tragedy. It feels intrusive. This is still so fresh for so many, give people room to grieve. It feels intrusive? Really? It is intrusive to ask if some one driving the wrong way on the free way was intoxicated. This isnt your private comment section for you to police and moderate get over yourself and realize that it can be both a tragedy and a drug/ alcohol induced accident. Wrong way on freeway. Alcohol or drugs? What a tragic loss. Alan was my history advisor. I only met him once and exchanged a few emails, but he was one of the nicest people I’ve ever met. I am deeply saddened to hear this news. My condolences to his family. Some of the on-ramps/off-ramps can be confusing. Alan was simply a wonderful human being. He brought joy wherever he went. I am so thankful to have called him my friend.